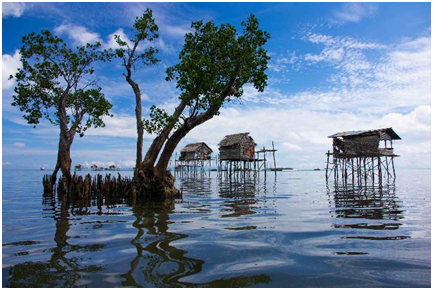 The dwellings of the Bajau Laut sea gypsy community, off the coast of Borneo, are a rapidly vanishing sight. I wanted to capture how their lifestyle harmonizes with nature, and brings a sense of balance and equilibrium with man and his environment. Inspired by a line from the 18th century British poet and artist, William Blake’s “Auguries of Innocence”, a group of friends who are doctors at KK Women’s and Children’s Hospital (KKH) come together in Eternity in an Hour – A Charity Photography Exhibition on the 20th and 21st of October. Held at artcommune gallery, this two-day only initiative aims to raise funds for charity where 50% of the proceeds will be donated to the KKH Health Fund (Part of the SingHealth Fund), which helps patients and their families, who often have exhausted all options and are in need of financial assistance, for their medical expenses. The other 50% of proceeds will go to the President’s Challenge, as part of KKH’s fundraising contributions towards other segments of society in need of financial assistance.